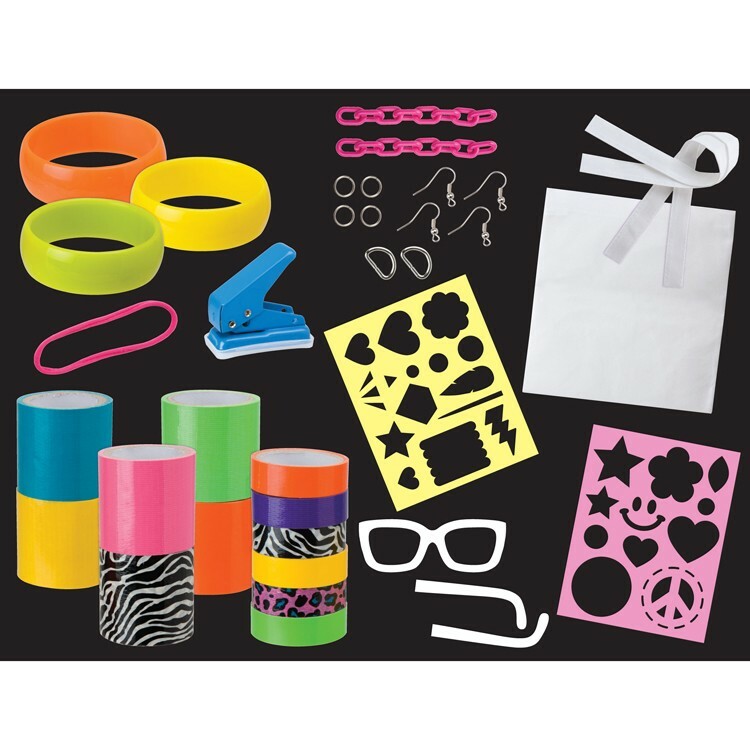 Decorate bags, make jewelry and headbands, design style accessories - and all with colorful duct tape from this deluxe Duct Tape Party craft kit for girls. 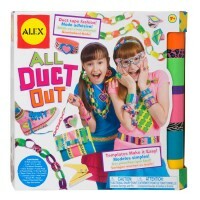 The design possibilities are endless with this Deluxe Duct Tape Craft Kit - Duct Tape Party! 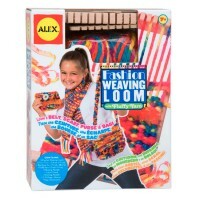 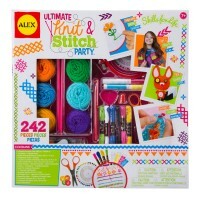 This inspiring creativity craft kit for girls comes with everything your fashionista needs to turn an ordinary accessory into a fashion statement. 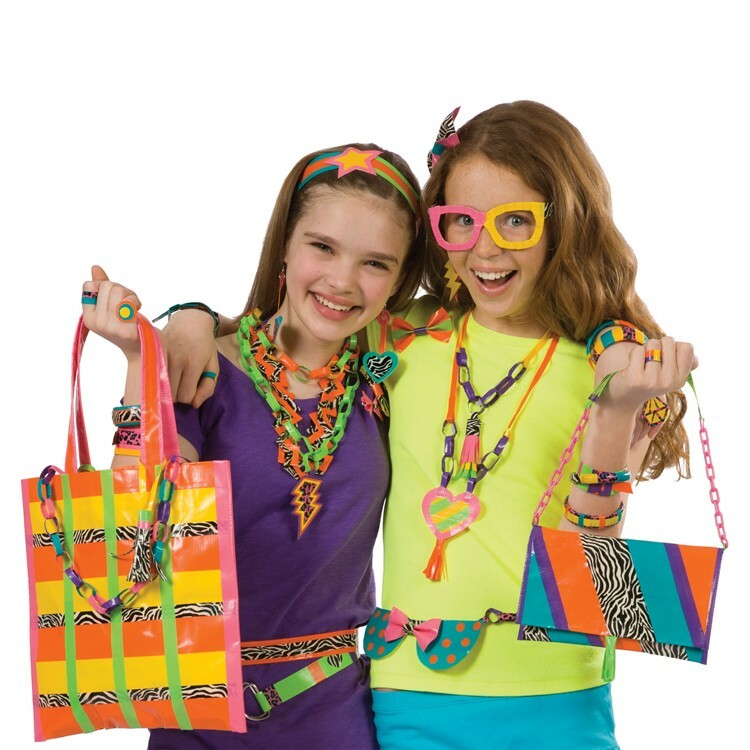 Decorate bags, make jewelry and headbands, design style accessories - and all with colorful duct tape. 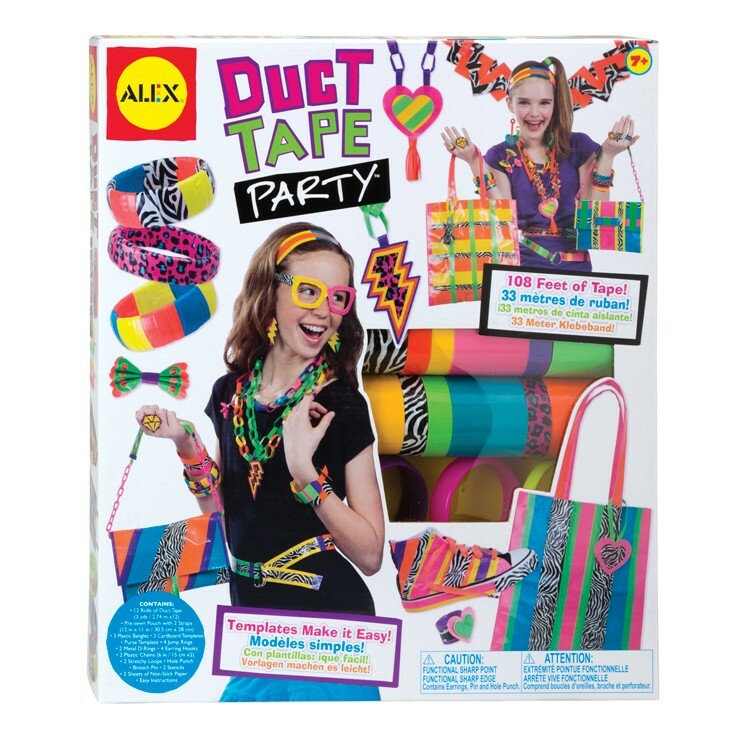 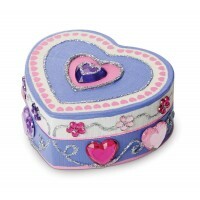 The Deluxe Duct Tape Craft Kit - Duct Tape Party includes 108 feet of duct tape in bright colors and cool patterns. 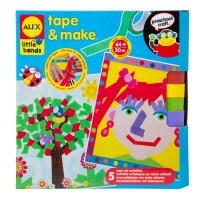 The enclosed craft tools, templates, stencils and instructions make crafting with duct tape easy and fun. 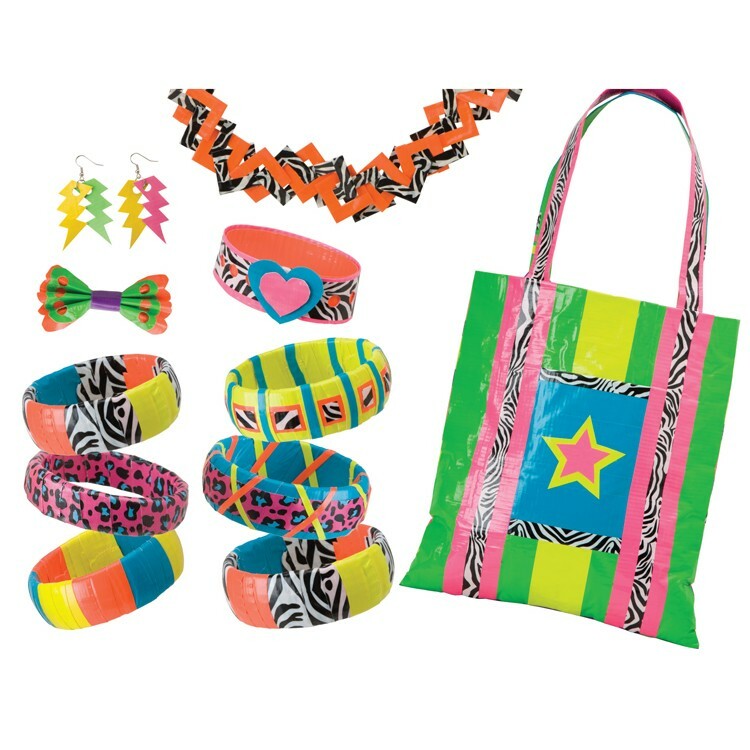 This super duct tape craft kit contains 12 rolls of duct tape, pre-sewn pouch, fabric and paper templates, 3 plastic bangles, hole punch, 2 stencils, 2 belt rings, 2 plastic chains, brooch pin, 8 jewelry findings, 2 non-stock papers, 2 stretchy loops. 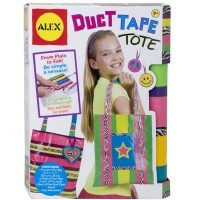 This duct tape fashion craft from Educational Toys Planet is also a great activity idea for girls slumber party craft or play date with friends creative add-on. 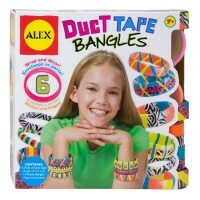 Your girl will have to add creativity and designer's imagination - and all amazing duct tape creations will become outstanding! 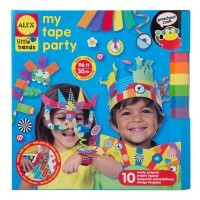 Dimensions of package 0.14" x 0.16" x 0.0225"
Write your own review of Deluxe Duct Tape Craft Kit - Duct Tape Party.